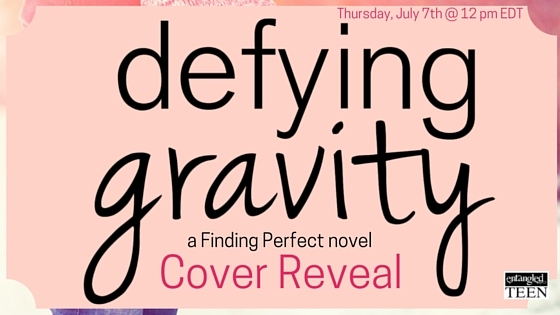 You Are Here: Home » Around the Web » Cover Reveal: Defying Gravity (Finding Perfect, #2) by Kendra C. Highley! 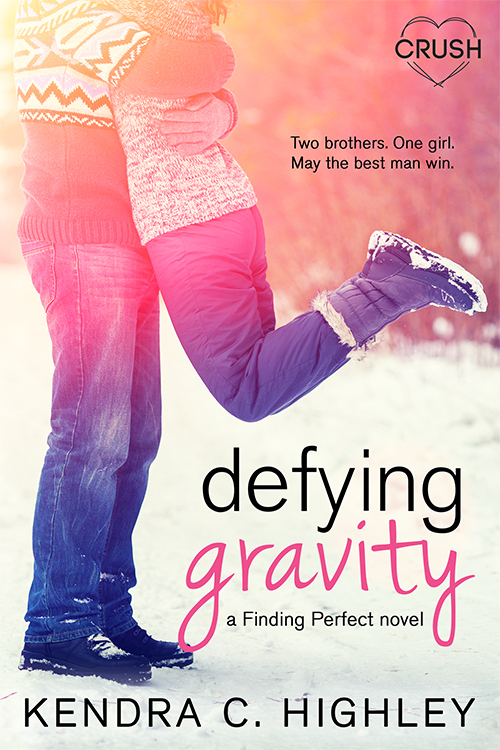 Let us know what you think of the cover for Defying Gravity (Finding Perfect, #2) by Kendra C. Highley! The crowd at the entrance started doing strange things. For one, it parted like the sea before Moses. For another, guys stopped dead in their tracks…and those who didn’t stop ran into walls or tripped over their own feet. The women and girls around these guys started rolling their eyes, some good-natured, some not so much. Parker’s heart hammered like a drunk carpenter had taken over his pulse. Zoey was on the mountain. She breezed through the crowd in a lime-green ski suit, her snowboard resting against her shoulder. Blond hair streamed out behind her under the hot pink knit cap she’d been wearing since they were kids, and her cheeks were flushed with the cold. Her smile could stop traffic…no, really, it had stopped traffic. The sudden loss of coordination among the men near the entrance was proof. He could only imagine what her real smile—the one she only gave him—could do. Wait. No. He didn’t want her smiling at any other guys that way. She searched the crowd, oblivious as always to the way people stared, and Parker waved. Laughing, she barreled straight at him, tossing her snowboard to the side, before knocking him into a snow drift. 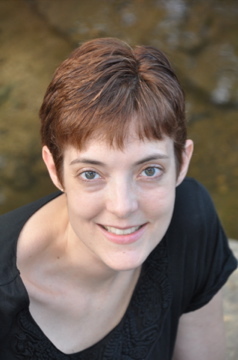 They landed in a clatter of boots, boards, and limbs, with her on top. He sighed heavily and brushed melting snow from her cheek. “How am I? Well, Miller, I’m bored.” Lie. So much lying. Whole mountains of lie. Want to Read More? Pre-order Defying Gravity Today! Love Sports Romance? Don’t Miss Your Chance to Enter the Corrigan Falls Raiders Gift Basket Giveaway!